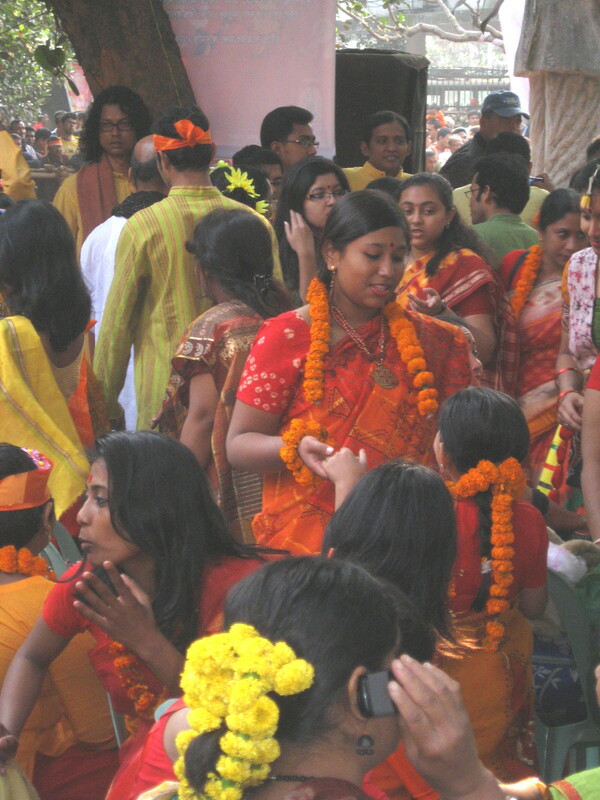 Spring Festival. I wish i had a more hi-tech camera to capture the colour of this event! Went at 7am to watch the celebration of the arrival of Spring. 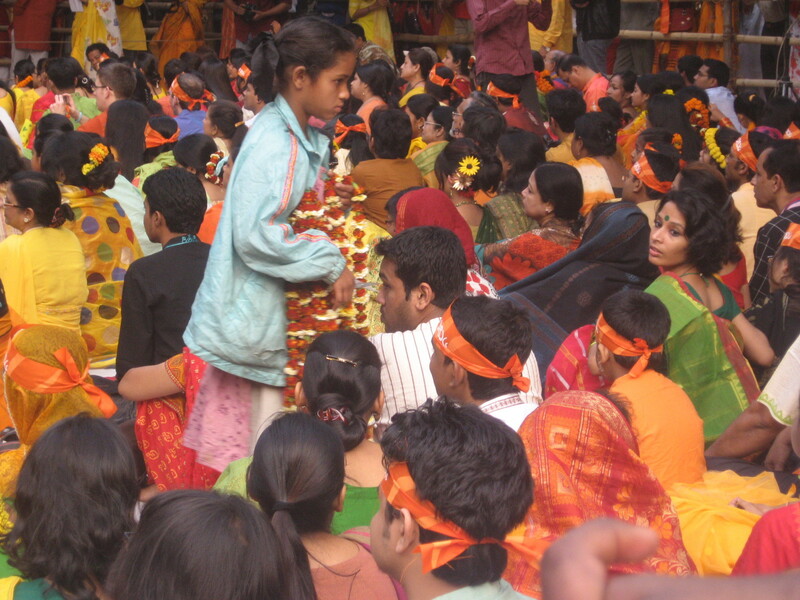 When I got there I felt very drab in comparison to the local women, all wearing saris of orange, yellow and red, with garlands or orange marigolds; so beautiful! It was especially good in the cool of the morning, with everyone in such a festive mood. Ironically, with all the spectacle and colour around, the local tv chose to interview me (wanting a foreigner’s impression). Keya rang to say she’d seen me on the news; fame! Even the local police wanted to take my picture. It’s tiring sometimes being such a novelty (I think my height makes for added curiousity); but it is always very kind and good-natured. As more and more foreigners start coming to Bangladesh, tourists will start to blend in as they do in the rest of the world i suppose. 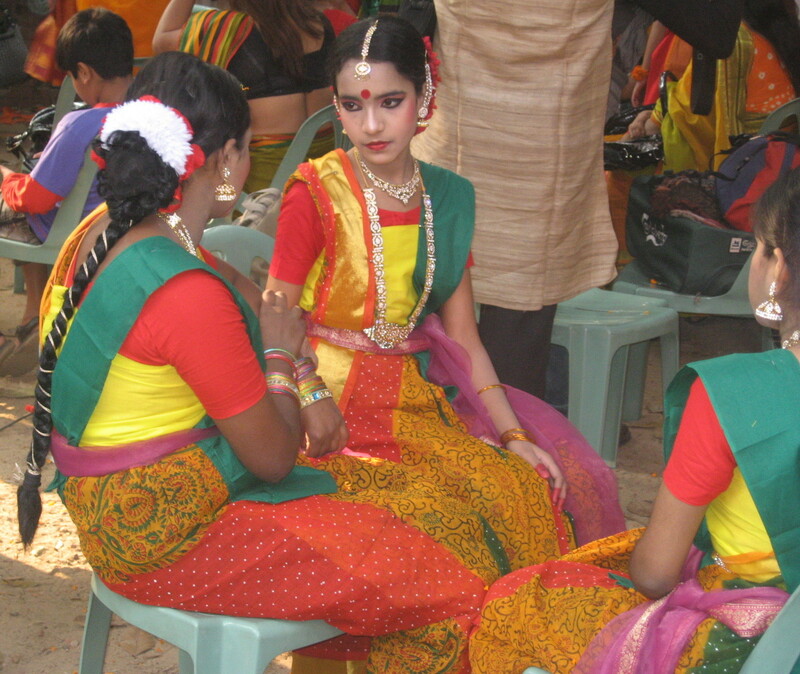 Have always thought that westerners dressed in saris looks a little like amateur dramatics. However, in the spirit of the festival, and on the advice of Jasmine (who works here for Owen), I have decided to join in and buy a colourful spring salwar kameez! I wonder if all this colour with infiltrate into my work? The drawings I have been making are black and white still but I have a feeling red, yellow green may have to have to come in somewhere?